Namaiki is a Japanese word for youngsters who foolishly adopt adult mannerisms and act in a silly way beyond their age! This DIY kit that features an excited Shin-chan allows you to make a cup of beer which in reality is actually cola-flavored soda. Simply add the packet of powder, water, and 2 ice cubes to the included beer mug, and enjoy the foamy drink. 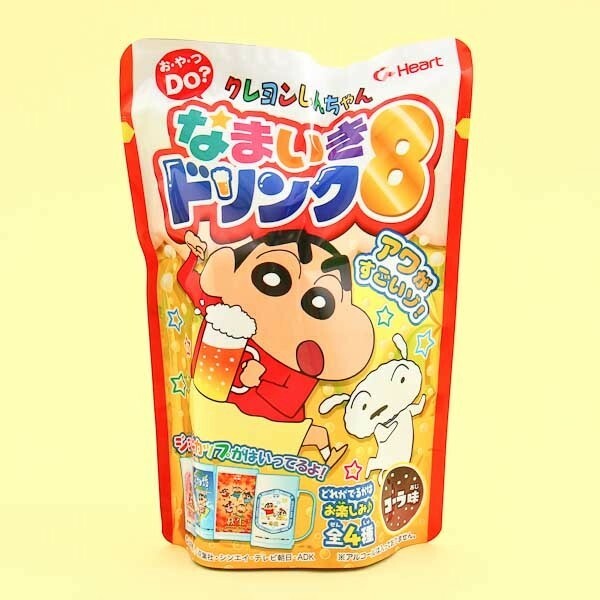 Every package includes a random, collectible Shin-chan cup, altogether there are 4 different cups. Hiccup! 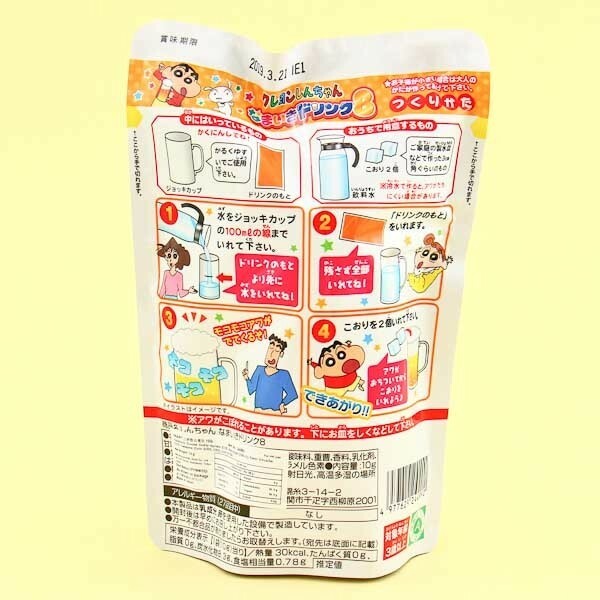 Make your own foamy namaiki drink with Shin-chan!